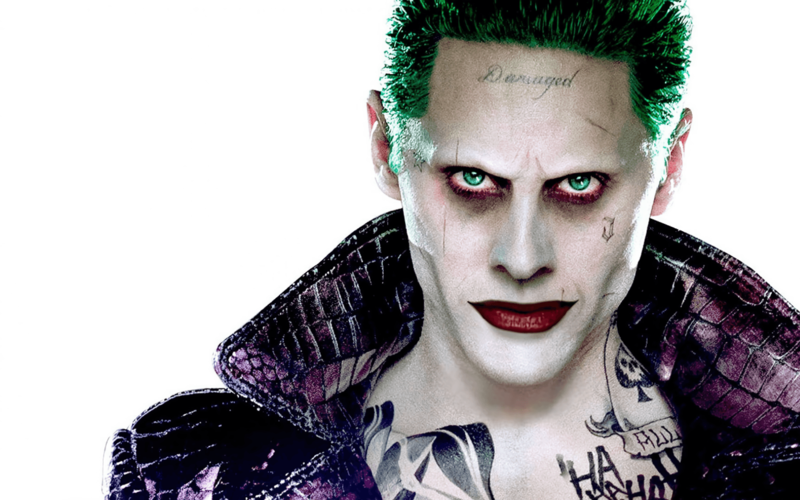 Jared Leto's Joker getting a solo film – AiPT! Jared Leto’s Joker is getting a solo film – whether you want it or not. You may remember a little DC film from a couple of years ago called Suicide Squad. Of the many things depicted in the grimy and uneven film, perhaps none were more controversial than Jared Leto’s depiction of the Joker. While the character did have its fans, others felt Leto’s performance was a little too hammy and did not represent the Joker that they know and love. Admittedly, it’s a little hard to blame Leto himself for the character’s flaws when you consider that this was a film that branded the Joker with a forehead tattoo reading “damaged” – lest you mistake this maniacal, green-haired gangster for someone who is well-adjusted. Since the release of Suicide Squad, many have been wondering about what the future holds for the character. The situation was unclear for any number of reasons: the DCEU has been going through a rough patch pretty much since its inception, the character was generally not well-received, Jared Leto seemed very unhappy with the way the film turned out and Joaquin Phoenix had been tapped to portray a different version of the character on the big screen. Well it seems we now have an answer of sorts – Variety is reporting that Jared Leto’s Joker is getting his own solo film. Could a Leto Joker film actually be good? Even as someone who was not at all a fan of Jared Leto’s portrayal of the Joker in Suicide Squad, I have to admit that I do see potential for a good film featuring the character. The wacky tone has been set, so if a really good writer comes aboard and just runs with this version of the character I think the results could be interesting. Jared Leto is a talented actor who can give a really exciting performance when given a good script and adequate direction. Plus, there’s no doubt that the actor would commit to the role (rats everywhere, now is your only warning to take shelter) if he was given another crack at it. Still, I would much prefer a Harley Quinn and Joker film to a solo film. It’s a real shame that the couple has become idealized and sanitized when there is rich potential for a character-driven and timely story of Harley trying to break free from the Joker’s oily grasp. Why is it that every time we get an answer about the DCEU we also get more questions? In this case, the biggest thing fans are left wondering is whether or not the Joaquin Phoenix Joker film is still going to move forward, or if it is being scrapped for the Jared Leto film? The two movies could certainly co-exist, but considering the way the DCEU has been struggling as of late it seems incredibly bizarre to complicate matters to such a degree. If DC wants to move forward with more solo movies rather than a grand, inter-connected universe, they will have a lot of groundwork to lay as audiences are pretty much accustomed to their superhero movies being connected at this point. Having two separate versions of the Joker would also inevitably invite comparison and competition between the two. This has already been a bit of a problem for DC, with many fans of The Flash on the CW expressing disinterest in the DCEU version of the character. It is important to keep in mind that DC’s movie slate seems to change more often than a new iPhone is released. Countless films have been teased or announced only to never be spoken about again. Given this, it is entirely possible that one, or even both, of these films will not ever see the light of day. If both movies do move forward, which one would you be more interested in? Were you a fan of Leto’s version of the character, or do you think too much inspiration was taken from a Hot Topic catalogue? Sound off in the comments below, and make sure to check back for further DCEU developments as they are announced!